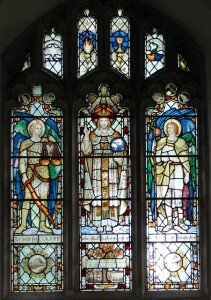 The photo reveals the memorial window at St. Mary’s church in Norfolk for Henry Rider-Haggard – showing various symbols from his works and beliefs. 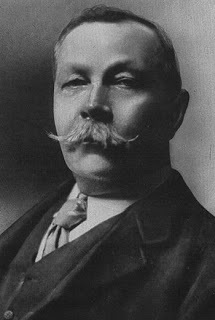 Rider Haggard was a Freemason who, like Arthur Conan Doyle and Arthur Edward Waite had an interest in the occult. His works included ‘King Solomon’s Mines’ which displayed Masonic themes, notably the search for lost knowledge in relation to King Solomon who features heavily in the Masonic ritual. Another work by Rider Haggard called ‘She’ displays themes of death and rebirth – similar themes found within Freemasonry. My second book The Transformation of Freemasonry discusses Rider Haggard and other occult Freemasons, exploring how they searched for hidden knowledge and found inspiration within Freemasonry. 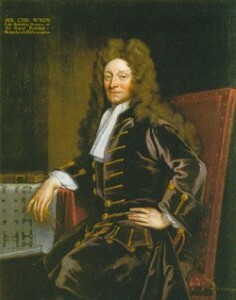 Sir Christopher Wren was an early Freemason who, like Elias Ashmole, searched constantly for lost knowledge, especially concentrating on the divinity of architecture. Like Sir Isaac Newton, Wren searched for the true measurement of Solomon’s Temple, working on a design for the Temple. This search for the true dimensions of the Temple and his interest in classical architecture influenced his work on St Paul’s Cathedral in London, the building of which attracted many ‘operative’ Freemasons such as the Stone and Strong family. My first book The Genesis of Freemasonry discusses Wren’s work and presents strong new evidence of him being a Freemason. The search for the divine cubit influenced one particular Freemason to re-design the Masonic ritual and create the ‘three degree’ ritual of Modern Freemasonry – he is discussed – along with the evidence in The Genesis of Freemasonry, and I will feature him in part 3 of the blog post. 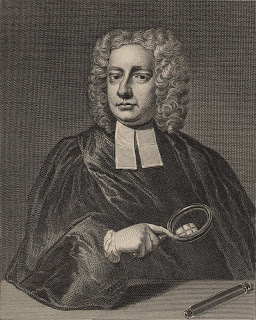 Dr. John Theophilus Desaguliers was the leader of Modern Freemasonry, and in my first book The Genesis of Freemasonry http://www.lewismasonic.com/product_info.php?products_id=460 I put forward how he modernised the ritual of Freemasonry during the 1720s and created the ‘three degrees’. Desaguliers was a natural philosopher, poet, networker and Minister, and he he was also a ‘disciple’ of Sir Isaac Newton. He was certainly interested in Newton’s work – an aspect of which was Newton’s search for the true dimensions of Solomon’s Temple. 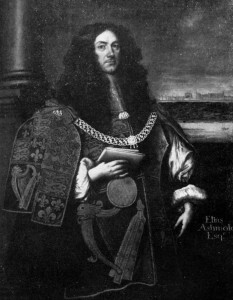 Desaguliers was also a Fellow of the Royal Society, following the footsteps of other illustrious Freemasons such as Elias Ashmole, Sir Robert Moray and Sir Christopher Wren. Part 4 of my posts will look at how Victorian Freemasons also searched for lost knowledge. 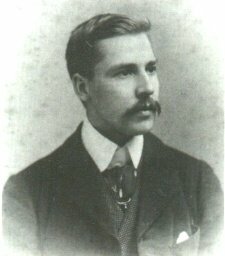 Arthur Edward Waite was a Freemason, Occultist and was the co-designer for the famous Rider-Waite Tarot Deck. He was a member of the Golden Dawn and wrote many works on Freemasonry and mysticism. My second book The Transformation of Freemasonry http://www.arimapublishing.co.uk/bookshopuk/bookinfo/book_184549437?bs=uk discusses his career; his desire to search for lost knowledge being similar to other Freemasons of the late Victorian period and mirroring the work by earlier Masons such as Elias Ashmole and Robert Moray. Waite’s Tarot designs incorporated Masonic sumbolism and Masonic themes – his Masonic interests being revealed on the High Priestess card for example, with the ‘B’ and ‘J’ on the two pillars standing for ‘Boaz’ and ‘Jachin’ – the two pillars of Solomon’s Temple.